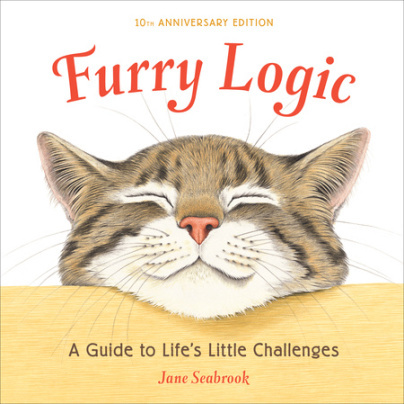 This month I requested from Bloggingforbooks.com a copy of Furry Logic “A Guide to Life’s Little Challenges” by Jane Seabrook. I was in need of a light, fluffy read to deal with the holiday madness that is in full swing, and Furry Logic came through on this front. The book is full of bright, cute renderings of birds, cats, reptiles, and other animals of both domestic and exotic claim. Accompanying these are clever, sassy, sometimes inspirational one-liners. (i.e. “I try to take it one day at a time, but sometimes several days attack me at once). It will be a quick read for adults, but is an enjoyable giftbook option for pretty much anyone. It could also be an enjoyable storytime addition for a child. If you are in need of a light, fluffy, fun read, pick this one up. This entry was posted in Uncategorized and tagged birds, BloggingforBooks, BookReview, Cats, FurryLogic, giftbooks, inspiration, JaneSeabrook by Erica. Bookmark the permalink.